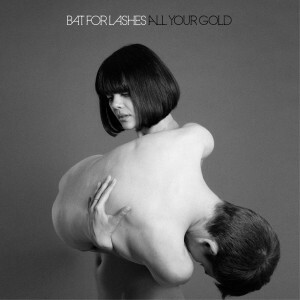 It was almost two weeks ago that EMI Australia serviced the new Bat For Lashes single ‘All Your Gold’ to Aussie radio. Since then, it’s been announced that Natasha will be gracing us with her presence early in the new year as part of the national Laneway Festivals. And with the new album ‘The Haunted Man’ dropping at retail locally a week on Friday, it seems the dropping of the new video (below) has been perfectly timed. And she’s headed down to the beach for the black and white affair that features some interesting interpretive dance moves and the occasional sojourn into a cave. The production in the track also sounds rather a lot like Gotye’s international smash ‘Somebody That I Used To Know’. Or could that be just us?